CLASS TYPES - Yoga Inc.
A foundation class suitable for beginners and those who want to deepen their understanding of yoga asanas. Physical intensity of the class is mild to moderate, as more time will be spent on demonstrations and explanations by the instructor. Often faster paced, the postures are continuous and synchronized with the breath. you will build strength, flexibility, stamina and determination in this dynamic and energetic class. This is unlike a regular yoga class that promotes general strength and flexibility - The class focuses on sets of static postures and repetitive movements that are aimed at strengthening the core muscles.Postures and exercises in the class are basic and do not require prior yoga experience, but physical intensity of the class is moderate to high. Core strength is an important key to mastering advance poses like arm balances and inversions! This is where you learn step by step how to get into deeper back bends, arm balances and inversions! This is a great class to work on your flexibility! Gentle movements and longer holds help relieve tense and tight muscles, pain, and stuck lactic acid in the body. The room is slightly heated to a temperature of around 35°C, helping your muscles to warm up and enhancing your flexibility. You will also get the additional benefits of detoxification from a good sweat! Great introduction to hot yoga - this class allows you to gradually adapt to the heat before trying regular hot classes. A slow-paced style of yoga with poses that are held for longer periods of time, typically between 2 to 5 minutes or more. Yin yoga poses apply moderate stress to the connective tissues with the aim of increasing circulation in the joints and improving flexibility. They are also designed to improve the flow of qi, the subtle energy said in Chinese medicine to run through the meridian pathways of the body. Improved qi flow is hypothesized to improve organ health, immunity, and emotional well-being. A more meditative approach to yoga, Yin aims at cultivating awareness of one's inner silence - a reprieve from busy modern lifestyles. 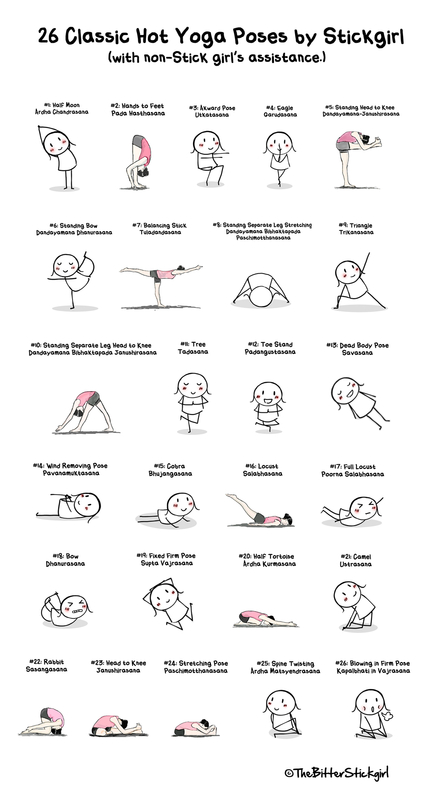 Great for complementing other dynamic styles of yoga and exercises. ​Ideal for athletes or people who feel body tightness. Restorative classes are usually very relaxing and calming, and is a good complement to your usual active yoga practice. There's no weight bearing poses in this class. All poses are done with support but students will still benefit from feeling stretched out, open and refreshed. This class will also include yoga breathing exercises (pranayama) and simple meditation, all with the aim of achieving balance, groundedness and equanimity. Suitable for beginners, those with or recovering from injuries, pregnancy, therapeutic for HBP. Great for stress relief! A class for all mother-to-be, to have a comfortable and enjoyable pregnancy through the techniques of breathing exercises, physical movements and postures to strengthen and relax the body, to ease the mind and to connect with their baby in a safe and supportive environment. Please check with your doctor before starting any exercise program. A separate prenatal package is required for prenatal classes.